In 2010-2011, cost of raw ingredients have soared, due to increase in oil prices, VAT increase as well as the weak pound have made it very difficult for UK manufacturing across all sectors. The main ingredient wheat flour for our Chinese pancakes have increased in price by 200% within the past 8 months. This has ultimately put tremendous pressure on price increase. In which, our competitors have been forced to increase their prices by 10% to 15%. Kim’s food have announced in our most recent TV advertising campaign that as the leader in Chinese pancakes manufacturing. 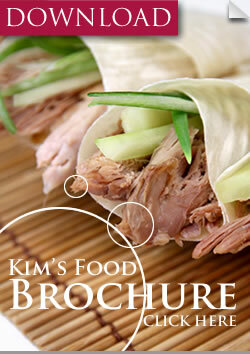 Kim’s Chinese pancake prices will remain the same!